As learning professionals, we have a responsibility to support learners. How can we do that to the best of our abilities? The answer lies in a blend of learning science and modern technology. Those moments are not equal in significance. In fact, science suggests that some moments are more optimal for learning and retaining information than others. In the 1980s, researchers, and authors Morgan McCall, Michael M. Lombardo and Robert A. Eichinger introduced the 70/20/10 principle. It claims that 70 percent of the average person’s knowledge is learned and retained by doing. In comparison, 20 percent of the average person’s knowledge is retained from coaching and mentorship, while only 10 percent comes from formal learning. Therefore, learning professionals should channel their performance support directly into the workflow — when learners are doing and are more likely to retain information. If we apply the 70/20/10 principle to the Five Moments of Need, we see that moments three through five (application, when things go wrong, when something changes) are the situations in which learners are active. Those are the moments we should reinforce. Thanks to modern technology, we can do so with efficiency and effectiveness. Attached to our smartphones, we live in an unprecedented age of immediate access to knowledge. Performance support pairs perfectly with this innovation, as the best performance support is immediate, intuitive, and intentionally tailored to aid learners in their time of need. 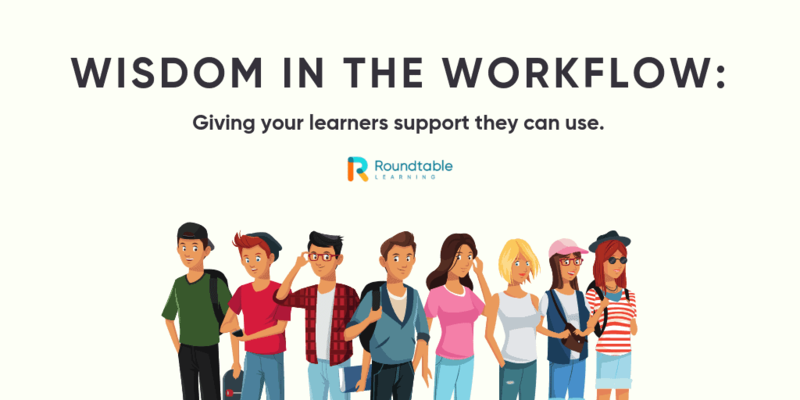 So, the next time you’re brainstorming ways to support your learners — whether through digital job aids or other online resources — shift your focus to non-disruptive, on-the-job performance support. Science suggests that’s how your learners will benefit the most. B. Mosher & C. Gottfredson. (2011) Innovative Performance Support: Strategies and Practices for Learning in the Workflow. McGraw-Hill Companies.